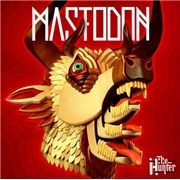 MASTODON was formed in 1999 after meeting at a HIGH ON FIRE concert. The debut, “Remission” was released in 2002, and by now they have reached five albums. Apart from the first demo, featureing one Eric Saner on vocals, the band has always consisted of; Troy Sanders, bass/vocals, Brent Hinds, guitars/vocals, Bill Kelliher, guitars/Backing vocals, and drummer/vocalist Brann Dailor. This album has its flaws. As much as I enjoy the melodic depression of “Black Tongue” and the groovy SABBATH of the nonsensical “Curl of the Burl” I get totally fed up with the space opera rock of the spaced out “Stargasm”. The title track also has a way of making me reach for the fast fwd button, which also goes for the metal take on “Age of Aquarius” called “The Sparrow”. I normally like 30´s horror but the aspirations of “Bedazzled” are somehow cut short. The lyrics are totally weed-smoking 70´s, the music somewhere in stoner-land and the songs often curiously short. How do you develop a melody in 2.35? But there are ups too, like the stoned Sabbathical “Dry Bone Valley” and the odd mix of 1970 and “Bark at the Moon” which has been named “Octopus Has No Friends”. I´d say that some time off the weed is absolutely crucial if MASTODON don´t want to suffer a fate similar to BLCK SABBATH in the late seventies!